I already have the Sandown skirt in black and I couldn’t resist the new damson colour. Beautifully finished and a perfect fit, it’s a smart addition to my autumn and winter wardrobe. The panelled shape is so flattering and hangs nicely over the hips. My favourite skirt! My wife is delighted with the skirt, finely tailored, and as to colour, an exact match to the photos you provide both in the catalogue and on-line. My wife can always buy mail order with confidence from your firm, thank you. I liked the black skirt so much that I then bought a green one. 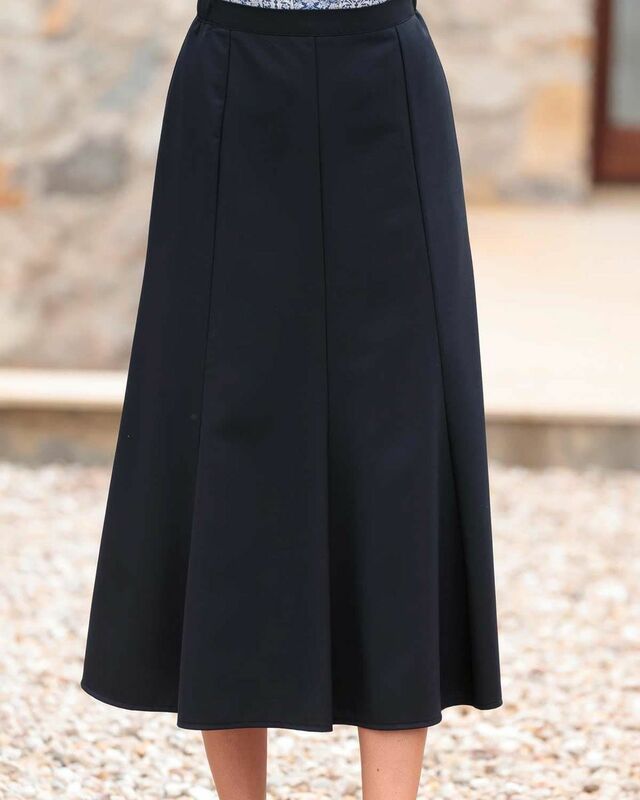 They are beautifully cut and hang well fitted at the waist and falling in to graceful pleats to the hem. Having a wool content are comfortable and warm. I chose a midi length and love them. I am always pleased with your service .Your products are nearly always fine and I have many of them which have proved very satisfactory. Thank you very much. I have three of these skirts now, and love them. Good quality fabric, washes easily and keeps its pristine looks. Ladies Classic Fully lined panelled 'A' line style with back zip and button fastening and side waist elastication. Lightweight and easycare fabric. A loverly addition to your year-round wardrobe. "I already have the Sandown skirt in black and I couldn’t resist the ne ..."